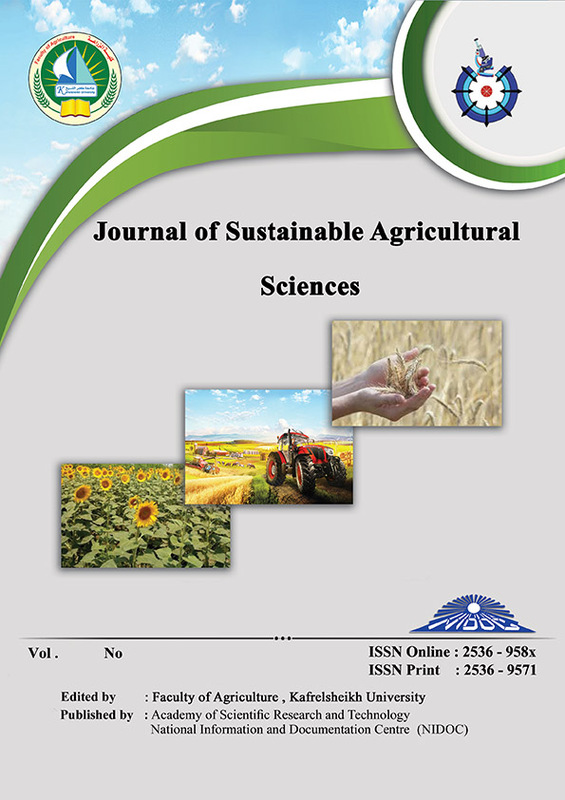 This study was conducted to evaluate the effect of using Opitgen feedadditives as a replacer to soybean meal in the diet of fattening Holistiencalves. Fifteen Holistien calves with an average initial weight 260.26±13.25kgand aged seven month were divided into three groups (five in each) based oninitial body weight and age. Calves were housed under open sheds. Calves inthe first group were fed the control ration (without additives) while the steers inthe second and third groups were fed the control ration with addition 75 or 100gm. of Optigen II (Alltech, Lexington, KY)as a replacer to 0.421 kg of soybeanmeal which is represented of 1.35 % on dry matter basis (Opt. 75)or100 gmOptigen II(Alltech, Lexington, KY)as a replacer to 0.558 kg of soybean mealwhich is represented of 1.84 % on dry matter basis (Opt. 100) for 105 days. compared with the control and G3, respectively). The best economicefficiency was recorded by the G2 while the lowest economic efficiency wasrecorded by the G3 while, the control group had the intermediate value. Finally it can be recommended that the supplementation of optigen at level 75gm/ day (1.35% on DM basis) in the diets of Holistien calves.